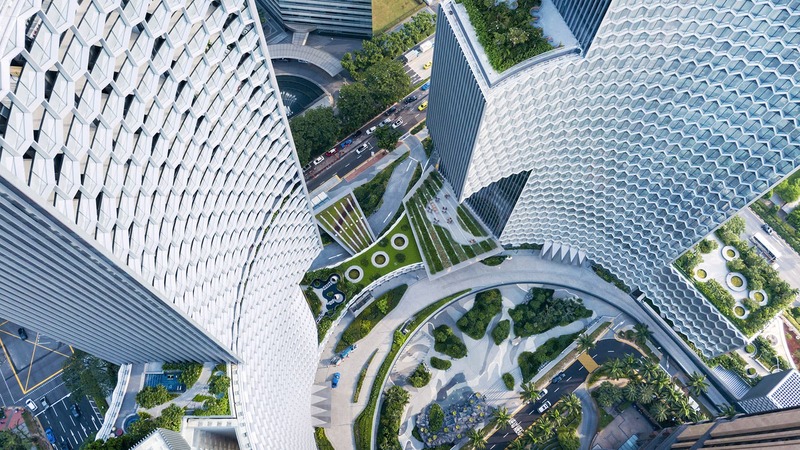 DUO, Büro Ole Scheeren's twin towers project recently completed in Singapore, has been nominated as a finalists in ArchDaily's 2019 Building of the Year Awards. STAGE, the food concept for Dean & DeLuca first unveiled at Design Miami, was awarded "Best Counter Revolution" in the 2019 Wallpaper* Design Awards. "Büro Ole Scheeren's MahaNakhon skyscraper opens in Bangkok"
"New Thai Skyscraper Features Glass-Floored Observation Deck 985 Feet in the Air"
"Ole Scheeren’s new MahaNakhon tower is an experiment in breaking free from conventional skyscraper design. Its crowning feature is not for the faint of heart." MahaNakhon Completion: Thailand’s Tallest Building is a Celebration and Extension of the Life of the City. Ole Scheeren Lecture at CTBUH in Dubai: "The Skyscraper as a Social Organism"
The encompassing profile on Ole Scheeren and his offices' work is the cover story of Germany's biggest arts magazine. "Ole Scheeren designs twin residential towers with offset volumes to resemble Vancouver's diverse streetscape"
"Ole Scheeren reveals design for Barclay Village in Vancouver"
"Ole Scheeren designs twin Vancouver skyscrapers to be vertical villages"
Watch Panel Discussion with Ole Scheeren on "How Can Public Art, Architecture, Design and Institutions Make a Place?" Art Basel Hong Kong: Ole Scheeren to Join Panel Discussion "How do Public Art, Architecture, Design, and Institutions Make a Place?" 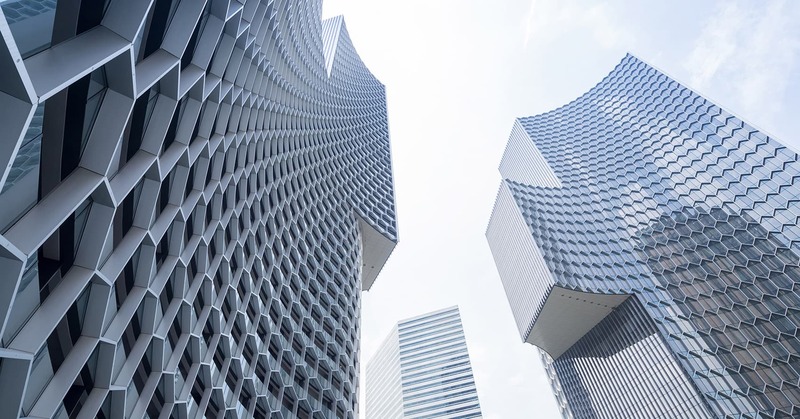 "Büro Ole Scheeren adds DUO high rise complex to Singapore skyline"
"Büro Ole Scheeren, Duo Towers in Singapore"
"Honeycomb-patterned towers by Büro Ole Scheeren frame gardens in Singapore"
Fortune reports on Ole Scheeren's presentation at Brainstorm Design 2018. "With his work in Asia, the architect has reimagined the skyscraper for the interconnected age. Is the rest of the world ready for his unorthodox approach?" Ole Scheeren Confirmed as Speaker at Brainstorm Design 2018 with Keynote Titled "Transformative Architecture"
The Talks: How Can We Break the Mold? Ole Scheeren Lecture at Art Stage Singapore: "Constructs and Deconstructs of a Modern Architect"
"Guardian Art Center: A Cultural Institution"
"How Beijing’s Guardian Art Center is reinventing the auction house"
"Ole Scheeren’s Guardian Art Center is a Hybrid of Culture and Commerce"
Wall Street Journal Magazine: "The Architect Behind China’s Newest Landmark"
A first, exclusive look at the soon to be completed Guardian Art Center in the WSJ Magazine's December 2017 issue. "Ole Scheeren unveils plans for a spectacular 'sky forest' in Vietnam"
"Ole Scheeren references mountain landscapes in design for Vietnam skyscraper"
"Architect of Empire City unveiled"
"Ole Scheeren is one of the world’s most successful young architects. As Simon Willis explains, he has built himself up by deconstructing the high-rise." "Prominenz für die Frankfurter Skyline"
"Ole Scheeren to transform a Frankfurt residential block in first European project"
"Ole Scheeren announces first European building: a green-topped Frankfurt tower"
"German-born architect Ole Scheeren is nominated by design expert Henrietta Thompson for his radical approach to architecture that seeks to prioritise the user experience over grand theatrics - although he often delivers those too"
"From skyscrapers to kitchens: Ole Scheeren reinvents fast food"
"Dean & Deluca's STAGE by Ole Scheeren Debuts at Design Miami 2016"
"Dean & DeLuca launches fast-food concept based on Ole Scheeren kitchen design"
Being the tallest building in Thailand, MahaNakhon turns into a new icon of Bangkok. CNN Style visits the building with Ole Scheeren. The Sraits Times features Ole Scheeren on the front page of the paper's Life section. Financial Times interviews Ole Scheeren on "The Vertical Village"
"Interview: Büro Ole Scheeren Unveils Designs for Guardian Art Center in Beijing"
"Ole Scheeren combines an auction house and museum beside Beijing's Forbidden City"
"Ole Scheeren unveils Beijing auction house scheme"
Financial Times: "China Guardian Auction Building Rises in Beijing"
New York Times: "An Unusual Home Amid Singapore’s High Rises"
World Economic Forum: "Redesigning Urban Life"
Watch Ole Scheeren's keynote at the World Economic Forum. At the conference hosted by Stuttgarter Zeitung, Ole Scheeren spoke about the rapid development of mega-cities in Asia. Ole Scheeren will speak about ‘Connective Architecture(s)’ in the Städel Architecture Class. The CCTV Headquarters in Beijing wins the 2013 “Best Tall Building Worldwide” Award of the Council for Tall Buildings and Urban Habitat. Ole Scheeren Keynote:: "Six and a Half Innovations"
Ole Scheeren will speak in New York City at the 2013 Architectural Record Innovation Conference. Buro-OS is among the five design firms which were selected out of 18 candidates to the final phase of the design competition for the new Axel Springer campus in Berlin. CCTV Headquarters is awarded Building of the Year in the Best Institutional Architecture category at ArchDaily. DUO received the Silver Award at MIPIM Asia 2012. The Award recognizes excellence and innovation in Asian real estate development for projects in development. China Daily: "Accomplish the impossible through collaboration"
Archipelago Cinema receives a special commendation at the 2012 WAN Awards in the Civic Building category. The Council on Tall Buildings and Urban Habitat invited Ole Scheeren to speak on the challenges and opportunities that architecture in China faces today. Archipelago Cinema is installed and ready for the 13th Venice Architecture Biennale. Wallpaper* has produced a limited edition of Ole Scheeren’s guest edited issue for the occasion. "Why Drive Up To A Theater, When You Can Float Up To It?" "Archipelago Cinema: Ole Scheeren's Floating Movie Theater In Thailand"
"Archipelago Cinema / Buro Ole Scheeren + Film on the​ Rocks Yao Noi Foundation"
Archipelago Cinema: Ole Scheeren Creates Floating Auditorium for Thailand’s Film on the Rocks Festival. "Angkasa Raya by Ole Scheeren"
"Unveiled> Angkasa Raya Tower in Kuala Lumpur"
"Angkasa Raya by Buro Ole Scheeren"